Tutoring support to online education students is available with Tutor.com. Tutor.com is a virtual learning assistance center, schedule online tutoring sessions 24 hours a day, 7 days a week, 361 days per year. TUTOR.COM closes on New Year’s Day, Fourth of July, Thanksgiving Day and Christmas Day from 2:00 am to 2:00 am (Eastern) the following day. You can connect with live tutors from any computer that has Internet access. An online writing lab allows you to work in real time with instructors who critique and return essays within 12 hours. GPS LifePlan helps students set goals and design plans that will lead them to the success they desire. This program has the flexibility to be used by students of all ages and at all stages. Explore the website to learn more about the 5 Plans (Career, Education, Finance, Leadership and Personal) and discover how they might help you. CAREERwise Education offers valuable resources to help you determine which online degree, program or career is right for you. Explore careers, search for online programs or find a job in your chosen field. Minnesota State values diversity in our communities. We’re committed to ensuring equal access and opportunity to qualified students with physical, learning or psychological disabilities. 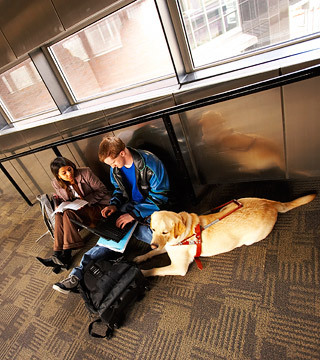 This website and each of our online education courses and online degree programs are accessible to students with disabilities, in compliance with the Americans with Disabilities Act. Some online programs are available to international students. Learn more about the admissions process for international students. Success Coaches are available to answer your questions.